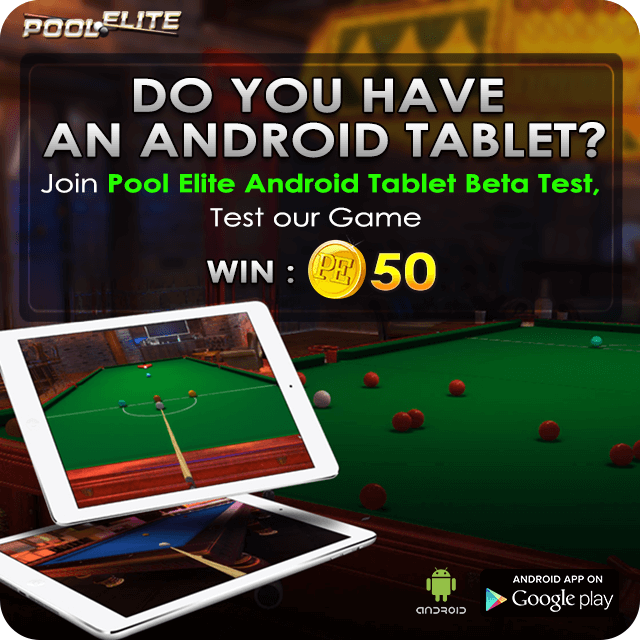 The time has come, we worked hard and now we are at last stage to release our Android Tablet version of Pool Elite. As you supported us on Facebook version of our game, we need your support for our tablet version. Together, we will play our Android Tablet Beta version with real players on Facebook and other Android Tablet testers. We will find bugs (hope not many 🙂 ) and fix them, we will have suggestions and use them to improve our game. You also will be rewarded with 50 Pool Elite GOLD for our gratitude.